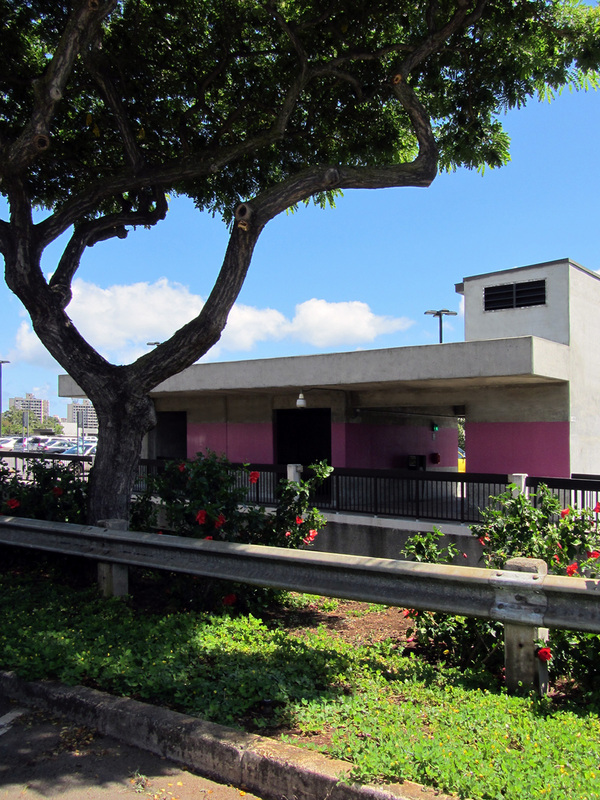 Parking on the Mānoa campus is often difficult to find during peak hours. Students are encouraged to consider options other than driving alone for their commute to campus and their extracurricular obligations. These alternatives are cost-free and come with health and environmental benefits. NOTE: Both Parking Structures often reach their full allotment by 10am on weekdays during the regular term. The lots are then temporarily closed until space once again becomes available. As you approach the Parking Structures, choose lanes marked for non-permit holders. Stop at the entry gate and pay the Gate Attendant in cash. Entry fee is $5 for a single day; $6 for entry after 4pm, $6 all day on Saturday or for Special Events. You will receive a gate ticket. Display the gate ticket (printed side up) on the driver’s side of the dashboard while parked in the Structure. Please familiarize yourself with UH Mānoa’s Parking Regulations. You can avoid getting a citation and fines by following the simple rules established for the common good. Your daily gate ticket allows you to leave campus and re-enter on the same day at no additional charge, if space is available. On re-entry before 4pm, you may park in the Lower Campus Parking Structure (Zone 20). Stop and show the Gate Attendant the gate ticket you received earlier in the day. While parked, display the gate ticket on the driver's side of the dashboard. After 4pm, you may park in any marked stall on Upper Campus (mauka of Dole Street), except reserved stalls and in residence hall lots.